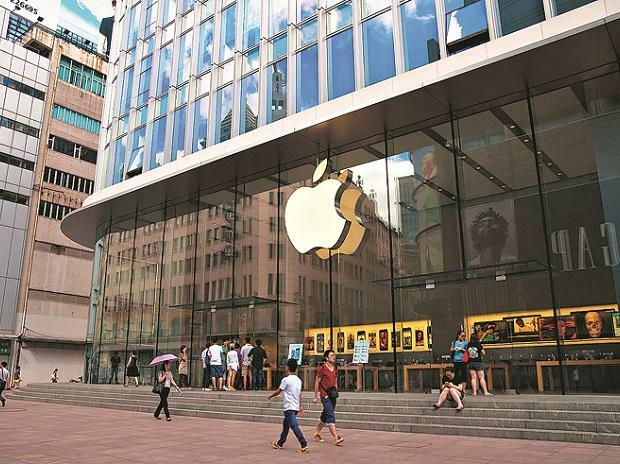 After failing to secure sops for retailing and manufacturing its products in India over the past two years, US-based tech giant Apple has decided that further discussions with the government on the issue would be left to Taiwanese original equipment manufacturers (OEMs) such as Wistron and Foxcon. Apple had been lobbying for special incentives from the government and was seeking relaxation on local sourcing norms for a while, without much success. The company, according to senior industry department officials, however, has now changed its strategy, with one of its key OEM, Wistron, receiving a nod from the electronics and information technology ministry for its Rs 5,000-crore investment plan. Further, Foxconn — the largest OEM for Apple in China — has also submitted a proposal to invest Rs 2,500 to ramp up its manufacturing capacity in India. Wistron is already assembling two of the older iPhone models -- iPhone SE and 6S — in India. Once the new investment comes in, Apple is expected to source newer models like the iPhone 8 series locally. Wistron has already secured a 43-acre plot near Bengaluru to set up a new plant for the purpose. Foxconn, on the other hand, is expected to feed the local demand for Apple’s 2018 edition models like the costlier iPhone X, XS and XS Max from its plant in Sriperumbudur near Chennai. Apple has been chalking a long-term plan for India post the hikes in customs duty starting end-2017. It is now seriously looking into increasing the number of models that it can manufacture in India, said sources. The new investment proposals by two of its key global manufacturers is a step in that direction, a person close to the company said. "Apple now feels that its major component suppliers should strike separate deals at the central and state government levels to quickly establish themselves in India... The country remains a lucrative market and Apple is keen to break into it as a serious contender," said an industry insider working closely with Apple and the government. This, after several rounds of discussions between the makers of iPhone and the government since 2017 for a deal that fell through when Apple sought a 10-year tax holiday and duty-free import of components against it bringing in its Taipei-based OEMs to India. Despite, Apple approaching the government for a fresh round of discussions in January, things did not move further. The government officials, however, hinted that it is ready to consider special sops if Apple brings complete-knocked down level manufacturing here. The proposed investments by the two Apple’s contract manufacturers could give the much-needed booster shot to the Cupertino-headquartered firm’s business in India. The investment proposals come at a time when Apple is in trouble in the world’s fastest-growing major market for smartphones. In 2018, Apple saw its sales dip heavily in the country due to its costlier new handsets. Data from Counterpoint Research shows, Apple’s market share halved in the year to 1.2 per cent from 2.4 per cent in 2017. It shipped 1.7 million iPhones in 2018, compared to 3.2 million in 2017. The firm’s heavy dependence on imports forced it to hike prices twice last year after the Indian government increased customs duty on fully-finished handsets and several key components.